Preen and perfect your arches with RevitaLash’s Brow Perfecting Gift Collection. Conveniently presented in a gift box, the set combines precision tweezers with two of RevitaLash’s vitamin-enriched must-haves that will condition your brows while making them appear even, fuller and healthier. A breakthrough, category leading conditioner protects against brittleness, breakage and environmental aggressors to create soft, velvety brows. Blending high-impact proprietary technology, peptides and botanicals, the formula is designed to saturate the eyebrows with moisture to keep them soft and give them some luxurious shine, whilst enhancing sparse or damaged areas. An innovative, multi-tasking eyebrow setting gel designed to help control, enhance and condition brows for immediate, dramatic results. Enriched with fortifying peptides and soft-flex polymers, the smudge-proof, natural mineral-tinted gel conditions brows whilst filling in thin, sparse areas for buildable, precision sculpting. The gel arrives with a unique styling dual-sided brush designed to apply and buff the gel for a healthy, natural look. A pair of professional grade, rust and corrosion-resistant tweezers to preen and perfect your eyebrows featuring a thin, sharp, angled tip for precise hair removal. 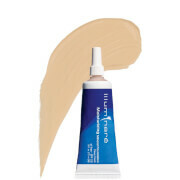 Conditioner: Once a day, apply to clean and dry eyebrows using short upward motions. 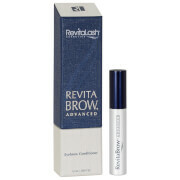 Brow Gel: Pull off overcap from styling brush. Use the comb side to shape and align hairs with short, upward strokes following the natural arch of your eyebrows. Replace cap. 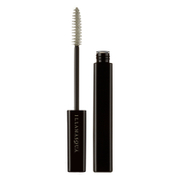 Twist and pull tinted brow gel applicator brush from base. Using short, upward strokes, apply tinted gel to eyebrows, moving from the inner to the outer contours to enhance, sculpt and define their appearance. Gently wipe away any excess tint from skin or fine hairs. Conditioner: Aqua, Disodium Phosphate, Glycerin, Biotin, Cellulose Gum, Phenoxyethanol, Chlorphensin, Phosphoric Acid, Dechloro Dihydroxy Difluoro Ethylcloprostenolamide, Butylene Glycol, Calendula Officinalis Extract, Panax Ginseng Extract, Serenoa Serrulata Extract, Camelia Oleifera Extract, Triticum Vulgare Germ Protein, Pentylene Glycol, Biotinoyl, Tripeptide-1, Octapeptide-2. Brow Gel: Trimethylsiloxysilicate, Aqua, Isododecane, Cyclopentasiloxane, Silica, Propanediol, Polydiethyleneglycol Adipate/ipdi Copolymer, Cetyl PEG/PPG-10/1 Dimethicone, Isononyl Isononanoate, PEG/PPG-18/18 Dimethicone, Quaternium-90 Bentonite, Ricinus Communis Oil, Glycerin, Tribehenin, Phenoxyethanol, C4-24 Alkyl Dimethicone/divinyldimethicone Crosspolymer, Magnesium Sulfate, Propylene Carbonate, Caprylyl Glycol, Isohexadecane, Lecithin, Polyhydroxystearic Acid, Chlorphenesin, 1,2-hexanediol, Isopropyl Myristate, Ethylhexyl Palmitate, Isostearic Acid, Polyglycerol-3 Polyricinoleate, Beta-glucan, Benzoic Acid, Sodium Benzoate, Myristoyl Pentapeptide-17, CI 77499, CI 77492, CI 77491.